This one pot dinner was inspired by Cherri’s Smothered Chicken recipe and is a really easy weeknight dinner. 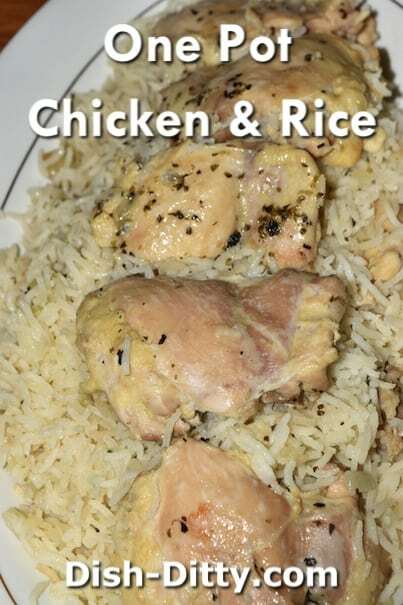 My mom’s Smothered Chicken recipe is an amazing recipe, and this recipe is based on that, but with rice. Sprinkle garlic salt and marjoram on chicken and set aside. In large chicken fryer, add butter and onions and sauté for about two minutes, or until onions are partially translucent. 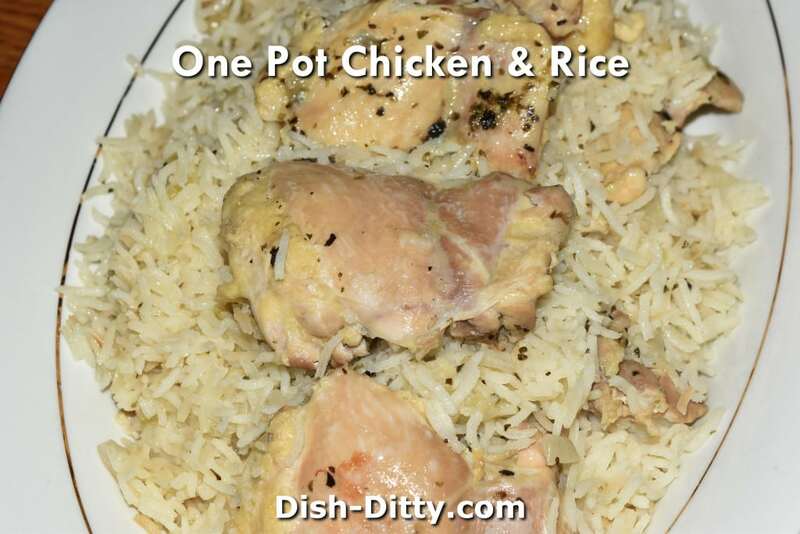 In same pot, add chicken to fill the bottom and brown on both sides, about 3 minutes per side. Remove chicken from pan, it will not be fully cooked but that's ok. In same pan, add basmati rice and cook stirring, toasting rice. See the picture below for what the rice should look like at this stage. Add to rice chicken broth, water and chicken from previous step. Bring to a boil, stir once, then cover and reduce heat to a simmer. Set your timer for 20 minutes and whatever you do, do NOT pick up the lid! 🙂 Just leave it be. After 20 minutes, remove from heat, keeping it covered, and let it stand for 5 minutes before serving. 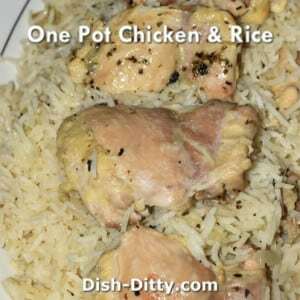 No Replies to "One Pot Chicken & Rice Recipe"